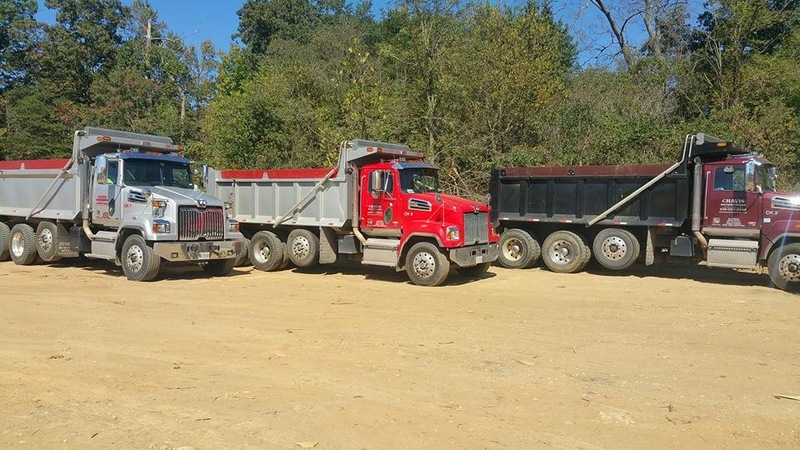 Whether it’s a dump truck full of dirt that takes an hour to move or a multi-million-dollar job that spans more than a year, Chavis Enterprises handles it carefully, as if it were our own. You may only have a load of dirt, but to us, you are as valued a customer as a commercial client with tons of debris to haul. Why? Because we know that business is built on relationships. We know that today you may have a single pile, but in the future, you could be that commercial client or the person making the decision for a swimming pool demolition or an excavating job. If you’ve had a good experience with us, you’re going to remember it. How do we make that experience the best it can be? It starts with the people of Chavis Enterprises. We teach our team to be prepared, professional and educated, and to always put safety first – both the customer’s and their own. We are prepared with a fleet of modern trucks. Every one of them meets Department of Transportation regulations and Federal safety standards. We hire experienced drivers who know the ins and outs of the hauling business and who also are adept at handling our vehicles – from trucks to machinery. We make their jobs more pleasant because of our fully maintained vehicles and our employee relationships, and that translates to better service for you. In addition, our Harford County hauling team knows the region. They can navigate the winding back roads and safely travel the highways. Our trained staff knows where to haul, how to schedule, and when to do it. We make it convenient and pleasant for you. Ask any of our customers who call us back for new jobs or refer us to friends and colleagues. The saying is true – the highest compliment you can give us is a referral or another job. For hauling in Harford County, Chavis Enterprises fits the bill.